The recent Marrakech climate summit shone a light on Morocco’s clean energy plans, which have drawn praise from around the world. At the heart of King Mohammed VI’s ambitions is a wind farm in the country’s south-west region, which, due to an expansion over the summer, has seen off an array of challengers for the title of Africa’s biggest. Built in just two years and launched in 2015, the Tarfaya complex stretches more than 100 square km across the Saharan desert, its 131 wind turbines grinding out enough electricity to power a city the size of Marrakech every day. But the renewable energy project is also controversial with some Sahrawi — the people who live in the west of the Sahara desert — who complain that it will deepen what they say is the occupation of their land. The Western Sahara dispute traces back to November 1975, when Morocco oversaw a 350,000-strong “green march” from Tarfaya across the region, as Spain was beginning a haphazard decolonisation. A mass flight of Sahrawi refugees and decades of armed conflict followed, as the UN declared the region a “non-self-governing territory”. When UN Secretary-General Ban Ki-moon described the situation as an occupation earlier this year, dozens of UN staff were expelled from the country. Today, Tarfaya is a sleepy concrete village, sparsely surrounded by military checkpoints, camel trains, inlets dotted with flamingos — and 12 waves of turbines that rise from the Saharan sand dunes like a desert circus. It is not that Sahrawis don’t find jobs in the wind farm industry. When we want to recruit a person, the priority is finding a person from this area. The problem is the lack of universities and places to study here. If you have no diploma, how can they offer you a job? Their performance is a showstopper. Tarfaya annually saves 900 tonnes of CO2 emissions — and around US$200 million of oil imports. It has brought new transmission lines which, officials say, guarantee power supplies to Sahrawi communities, even if many still complain that they are excluded from the green tech industry. Tarfaoui got her first job at the plant after years of study but says: “If I was a Sahrawi with zero experience I wouldn’t be here.” Of the plant’s 60 or so workers, there are two other Sahrawi office staff members and 15 security guards. While Tarfaya sits on the Moroccan side of the Western Sahara border, four existing or soon-to-exist wind farms are situated on the other side. By 2020, wind and solar resources in Western Sahara could provide more than a quarter of Morocco’s clean energy, which will power 42% of Morocco’s electricity. The Tarfaya plant gives 400,000 Dirhams (£32,000) to a local town each year. It sponsors local projects and youth vacations, as well as funding a street lighting programme in Tarfaya. But that has not stopped opposition to the wind farm. While a declaration signed with the EU in Marrakech should lead to an export deal for the country’s clean electricity to Europe next year, 51 MEPs have already written to the European commission and Ban Ki-moon, protesting against any of it coming from Western Sahara. A face-to-face interview with Tamek was impossible during the fortnight-long UN climate talks, after a security clampdown saw activists arrested and at least one Algerian journalist, Hamza Hamouchene, deported to Agadir. Morocco has been ranked 131st out of 180 countries for press freedom. Multinational companies are dividing our country’s natural resources without consulting or benefiting the Sahrawi people. In Morocco, some environmentalists sympathise with the Sahrawis but wonder whether the planet has time to wait for “national liberation movements” to win their struggles before cutting carbon emissions. Others argue that without a just transition to low-carbon societies, public support will inevitably turn to disaffection, with undesirable consequences. 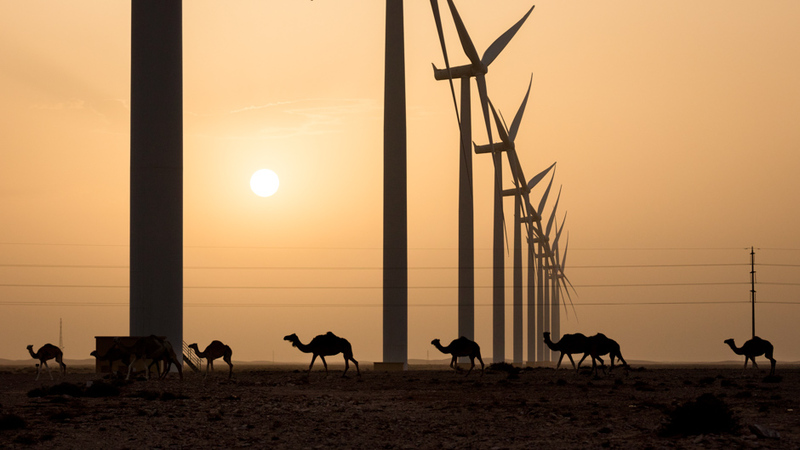 A recent report by Western Saharan Resource Watch, a network of pro-Sahrawi groups, accused the King of using the region’s wind farms to enrich himself, and cement Moroccan dominion with vital energy infrastructure. The report backed calls by Tamek for Siemens and Enel to withdraw from Saharan projects to help advance the region’s moribund peace process. Such demands provoke incredulity among Morocco’s political elite. Hakima el-Haité, the country’s environment minister, responded: “What would [they] prefer: to have energy or to be isolated? To have wind energy or be located near a coal installation? El-Haité insists that 90% of the local population are happy with the project, and just “0.0001% of the population” have criticisms. “Maybe the people you spoke to are not citizens of Morocco?” she said. All the same, some public support is thought to have waned after hundreds of Sahrawi workers were laid off when the plant’s construction finished. “It was a bit brutal,” the engineer Tarfaoui admitted. The huge state-owned OCP company, which mines phosphates for global fertiliser use has been a lightning conductor for Sahrawi protests. That has been partly fuelled by an OCP subsidiary’s claim that 95% of its energy came from a nearby wind farm. The suggestion appears questionable. Abdellatif al-Ghali, Tarfaya’s director, said that specific industries could not be powered by the turbines. “We just transmit electricity to the national grid,” he said. “Our exclusive customer is ONEE (the national electricity firm) and that is who we generate electricity for.” On-site engineers confirmed this. For now, the biggest threat to the remote renewable power plant comes from three highly poisonous snake species — and two types of scorpions — some of which can kill a person within 30 minutes. Signs instruct workers to kick the doors of power substation huts before entry, and then stand back, just in case. 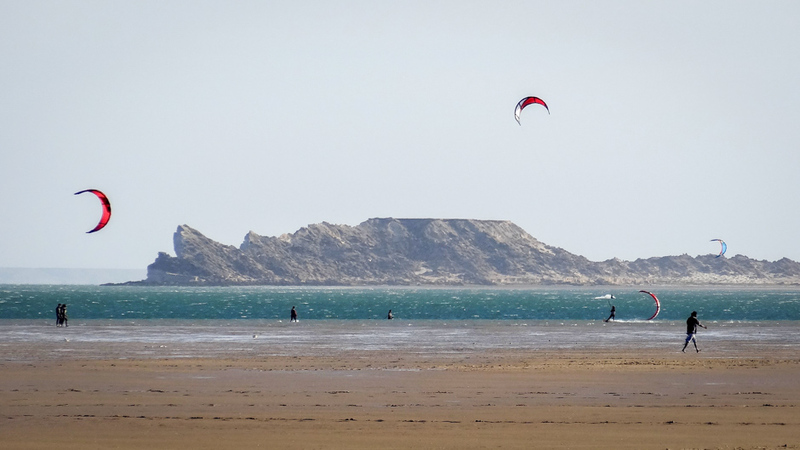 Western Sahara’s coastal strip is one of the region’s windiest areas with a wind load factor of around 46%. “It is windier than in the Netherlands or Belgium,” el-Ghali said. In the calmer winter months, winds can drop off dramatically but the 317MW plant was still operating at 73.5MW of capacity when the Guardian visited. On the Saharan beaches that day, fishermen living in huts made of tarpaulin and rubbish unfurled their nets as usual, between jagged cliffs that looked as though someone had hacked them off with a saw. At Tan Tan airport, security officials continued their heightened checks on new arrivals and departures, as the Marrakech climate summit continued, a world away.